Rumors of Senator Joseph Dunn’s firing as Executive Director of the State Bar of California were confirmed yesterday with release of a terse announcement from the Board of Trustees. 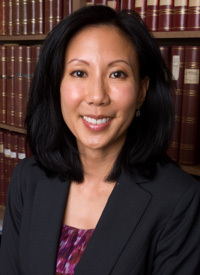 As shocking as that announcement was, even more shocking was the news that Senator Dunn had filed a complaint against the State Bar and State Bar President Craig Holden (sen.-joseph-dunn-v.-cal.-state-bar—complaint) alleging wrongful termination based on his status as a “whistleblower” on alleged misconduct committed by Chief Trial Counsel Jayne Kim. The State Bar has lurched from crisis to crisis over the last thirty years. Some of the “highlights”: The Chronicle news stories (1985), the implementation of the massive reforms led by Sen. Presley and designed by Prof. Fellmeth (1987-1991), the early conflict between the new full time State Bar Court and the Office of Chief Trial Counsel (OCTC) (1989-1995), the restructuring of those reforms by the Alarcon Commission (1994), the plebiscite over the State Bar’s very existence (1996), the resignation of executive director Rosenthal over conflict with the Legislature (1997), the veto of State Bar dues bill by Gov. Wilson and subsequent shutdown of the discipline system (1997-1998), the rebuilding of the discipline system (1999-2001), the introduction of appointments by the political branches to State Bar Court (2000-2001), mismanagement of OCTC during the Scott Drexel era and the growth of the backlog (2005-2009), the discovery of serious embezzlement by a State Bar employee (2009), the highly critical State Auditor’s report (2010), the “governance” struggle precipitated by SB 163 (2010-2012), the purge of OCTC management by Senator Dunn (2011), the backlog reduction project (2011), the Supreme Court’s rejection of stipulated decisions in the wake of the backlog reduction (2012) and the State Bar’s inability to implement a modern information technology system in OCTC (2014). But this may well be the worst crisis ever for this troubled institution. How can the public, the profession, the Legislature, and the Supreme Court, who relies on the State Bar as its “administrative arm” for discipline and admissions maintain any confidence in the State Bar after reading the allegations of Dunn’s complaint, whatever the truth ultimately turns out to be? What new revelations will bubble up in the course of this litigation? Yesterday was a dark day for the State Bar, maybe the darkest in its dark history. But darker days may well be ahead. Good summary of the many bumps in the Bar’s road over the past 30 years – with apparently more to come. I’m saddened by the recent allegations and how some honorable people with whom I used to work with and are still working at the State Bar may be smeared by all of this. If the CA Bar cannot even perform its normal functions, then how will it be able to implement its three proposed programs for practical skills for law students? See CA Bar, Task Force on Admissions Regulation Reform (TFARR). Another setback for the CA Bar occurred a few weeks ago when the California Supreme Court rejected the Bar’s proposed rules for Professional Conduct. See “Bar to return to the drawing board on rules revision,” Daily Journal (Oct. 1, 2014). In addition to rejecting the rules, the court also ordered the CA Bar to form a new committee. What seems clear by now is that the California State Bar is subject to unusually intense intra-bureaucratic strife. Does anyone understand why?